Hyundai will expand its SUV range in India with a new entry-level model next year - the Hyundai Carlino (code: Hyundai QXi). 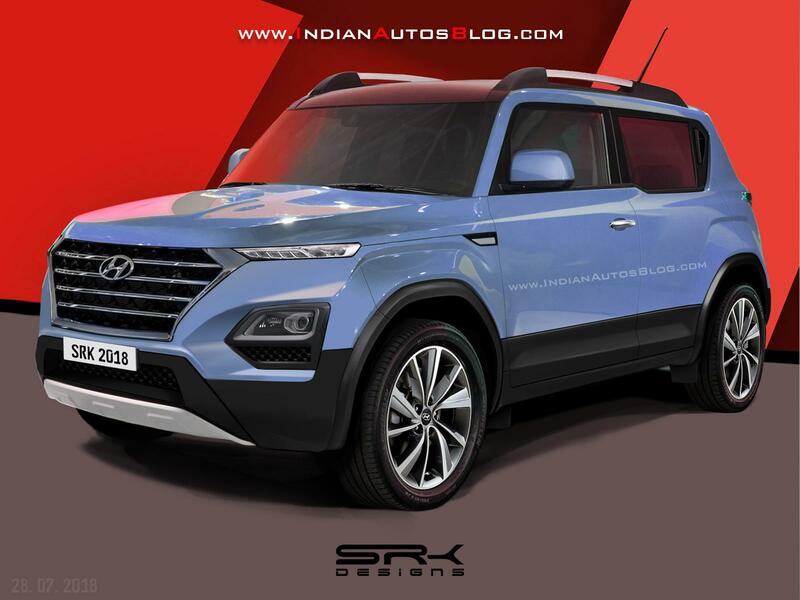 Rendering artist Shoeb R Kalania has presented his depiction of the Hyundai Carlino using the brand’s latest design DNA for SUVs. The Hyundai Carlino will measure no longer than 4,000 mm to qualify as a small car for tax benefits. The Hyundai Carlino in the latest speculative rendering features Hyundai’s Composite Light - a design consisting of slim LED DRLs positioned on top of the LED headlights. In other words, Composite Light is the South Korean’s branding for twin headlamp design. Introduced in the Hyundai Kona last year, this signature design element is observed on the Hyundai Nexo and the all-new Hyundai Santa Fe. Spy shots have shown that the USA-bound global spec Hyundai A-CUV will also have the Composite Light, and we expect the Hyundai Carlino to feature this illumination setup. Needless to report, the signature Cascading grille is a confirmed feature. The Hyundai Carlino will slot below the Hyundai Creta as a more affordable, sub-4 metre SUV. Reports say that Hyundai will offer it with three engine options: 1.0-litre T-GDI turbocharged petrol, 1.2-litre Kappa naturally aspirated gasoline and 1.4-litre U2 CRDi turbocharged diesel. The 1.2-litre petrol and 1.4-litre diesel engines are already offered on the Hyundai i20 among other vehicles, while the new 1.0-litre petrol engine is new for our market. The 1.0-litre T-GDI petrol engine is said to deliver 120 PS and 117 Nm of torque. Another expected highlight is the 5-speed ‘Smart Auto’ automated manual transmission from the Hyundai AH2. The Hyundai Carlino was introduced as a concept model at the Auto Expo 2016 and understandably the final design would have evolved from the 2.5-year old presentation. The Hyundai Carlino will compete directly with the Maruti Vitara Brezza, Ford EcoSport and Mahindra S201 in India. Its launch will take place in April 2019. Prices could start between INR 6-7 lakh (ex-showroom).